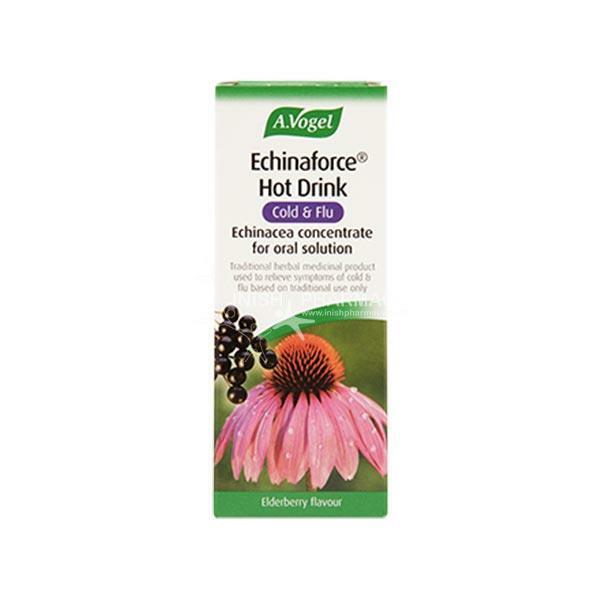 A. Vogel Echinaforce hot drink is a soothing hot drink that is used to help alleviate the symptoms of cold and flu. It contains fresh echinacea which is organically grown. It may help soothe symptoms such as headache and muscle ache.